The recent death of Philip Seymour Hoffman of a heroin overdose has placed a light on the growing epidemic of heroin use in America. Recent studies and research have shown that the increase in heroin use is a direct result of addiction which begins with prescription drugs. Many people start off using prescription drugs (some legally and others illegally) and once addicted they move on to heroin. Prescription drugs become too expensive and difficult to obtain; addicts will then switch to street heroin which can range from $3 to $10 a bag as opposed to $20 and up for one pill. 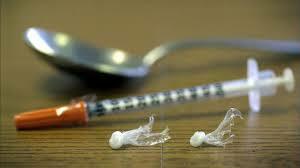 As a former narcotics investigator, I have witnessed the destruction of human life due to heroin use first hand. Sadly, once a person becomes addicted it is extremely difficult to detox them off the drug and keep them clean. Therefore, the only hope we have is education. We need to educate young people on the dangers of drug use and make every attempt to prevent them from ever wanting to try illegal substances in the first place. We believe it all starts in the home. Parents need to take an active role in their children’s lives and be aware of who they are hanging out with and what they are doing. It also means talking openly and regularly about drugs and the dangers involved. We further suggest that parents monitor all drugs prescribed by doctors to their children. Do not be afraid to tell a doctor you do not want your child to be prescribed certain drugs. Please note: if drugs are prescribed to any member of the family they should be locked up in a safe place and out of reach from other family members.